Depend upon it, the universe will never really be understood unless it may be sometime resolved into an ordered multiplicity and made to own itself an everlasting drama of the calculus. Prolixity of phrases has it own obscurity, no less than terse brevity. The latter evades the mind's eye while the former distracts it; the one lacks the light while the other overwhelms with superfluous glitter; the latter does not arouse the sight while the former quite dazzles it. I am well aware how fond you are of Nothing, not so much for low price as for the sport, as delightful as it is witty, that it affords your pert sparrow; and so I can really guess that the closer a gift comes to Nothing the more welcome and acceptable it will be to you. Astronomy has two ends, to save the appearances and to contemplate the true form of the edifice of the world. After the birth of printing books became widespread. Hence everyone throughout Europe devoted himself to the study of literature. Hence many universities came into existence, and at once so many learned men appeared that the authority of those who clung to barbarism soon declined. 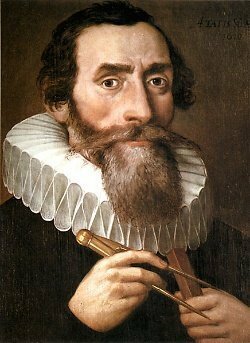 Bio: Johannes Kepler was a German mathematician, astronomer, and astrologer.